The first level of Reiki Usui is considered the physical level, it is also the “Self” level. During the seminar of Usui Reiki in most common method, the student receives 4 reiju activation energy by the Reiki master or better the Reiki teacher, which allow him to become a Reiki channel. You learn all the techniques to practise the REIKI self-treatment and how to complete a treatment on other people. You also learn how to deal depending on individual needs, to carry out treatments for children or the aged, to treat the animals, the plants, the flowers, that are living beings too. 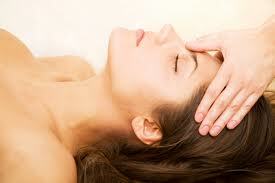 The self-treatment REIKI is of great importance for our spiritual growth through Reiki. In fact, after the seminar, we recommend you to spend at least 20 minutes a day or half an hour, to treat yourself. This is such a precious with yourself. During the course, we explain the history of Reiki, the operator’s hands position on the body and recipient, explains the chakras and how they work. We have a group meditations, the exchange experiences, the circles of light.